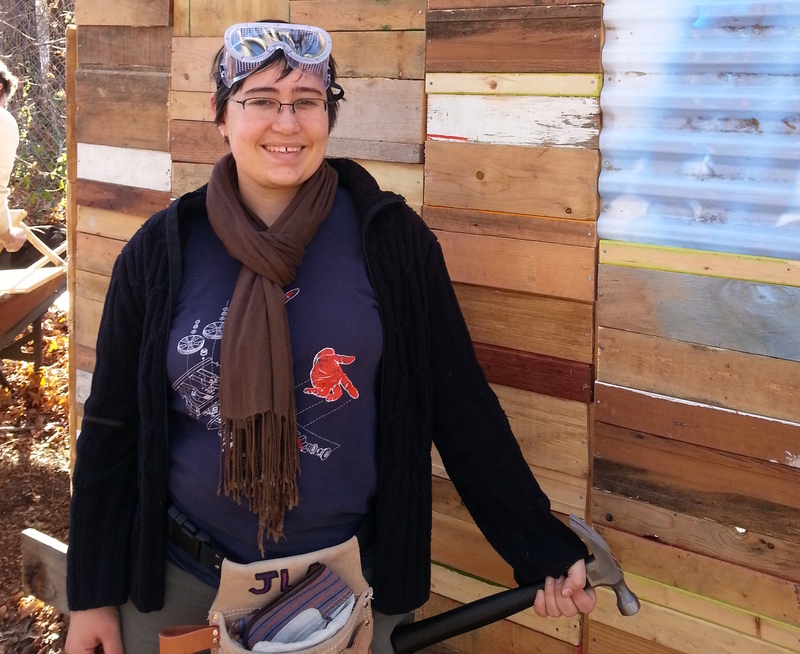 Working on a wall at a tiny house workshop! Curious? Read my tiny house posts here and on tinyhomes.com!